Is There a Great Clips Senior Day? Great Clips prices and discounts vary by location as Great Clips salons are individually owned and operated. But most Great Clips locations offer a senior discount to customers age 65 and over. The average price for a haircut at most Great Clips salons is around $14, while seniors can receive a haircut for $12 at most locations. For more details on Great Clips’ senior discount, see below. Great Clips is a chain of hair salons that offers haircuts, hair styling, and hair products for all ages. Great Clips salons are franchises, which means they are individually owned and operated; prices and available services may vary by location, per the services page of the Great Clips website. We contacted multiple Great Clips salons in Arizona, Florida, Illinois, and New York to find out if any offered senior discounts. All of the salons we called have a discounted haircut for seniors age 65 and over. The usual price of a haircut at all the salons we called is $14, but for seniors, haircuts cost $12. There is no specific senior discount day at Great Clips; the senior haircut is available any day or time that the salon is open. Seniors just need to show ID to receive the reduced price. It’s important to note that the senior discount at Great Clips is good for a haircut only. Products sold at the salon or additional services such as styling or perms are not eligible for the discount. Since all of the salons we spoke to offered a senior discount, there is a good chance that most other Great Clips salons do as well. Still, it’s always a good idea to give your local salon a call to verify that it offers a discount before visiting in person. We also inquired about other ways to save at Great Clips, such as a rewards card or loyalty program. None of the salons we called offered a rewards or loyalty program. A salon in Florida did advise that coupons are occasionally available in mailers or the coupon section of the newspaper. Additionally, salons will sometimes have sales on the products they sell. 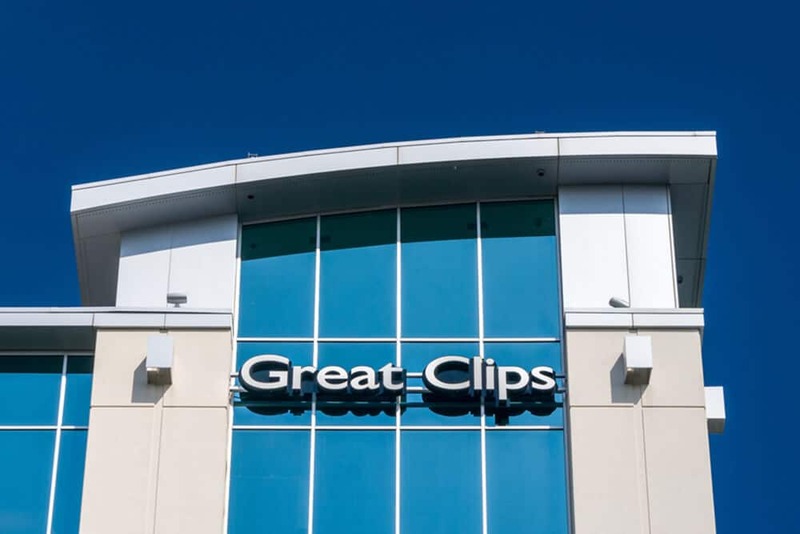 Great Clips has over 4,000 locations in North America. You can find your nearest Great Clips location using the online salon locator. For more information about the salon chain, see our comparison of Great Clips to Supercuts and Sport Clips. Most Great Clips salons offer discounted haircuts to seniors 65 and over. The average cost of a Great Clips haircut at the locations we spoke to is $14, but seniors can get a haircut for $12 when they show ID. The senior haircut price is available any day or time the salon is open. The senior discount is only usable for haircuts; special stylings, such as perms, are not discounted. A senior discount does not apply to products sold at the salon, either. Learn more about discounts for seniors in our articles about free and discounted coffee for seniors and Kroger’s senior discount day.